LUME is a London-based platform for original and improvised music run by musicians Cath Roberts and Dee Byrne. Their gigs feature artists from across the UK creative music scene and beyond, acting as a space for new work and experimental music-making. 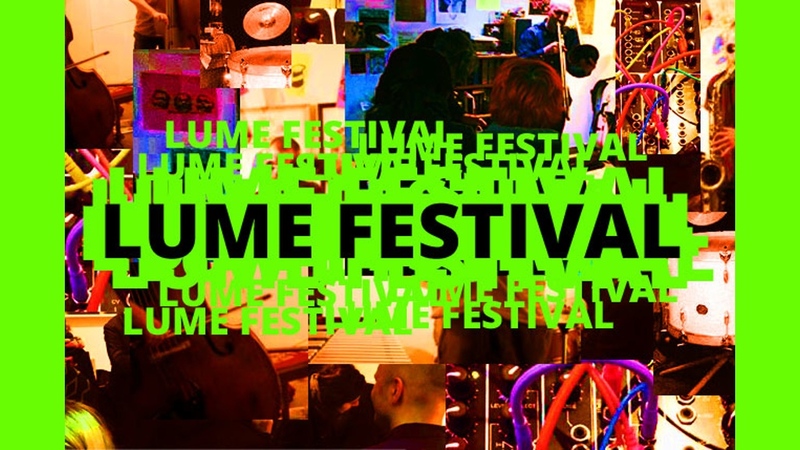 Our idea was to do something a bit different to round off our 2015/16 season of gigs, so we decided to put on our first ever LUME Festival. If the Kickstarter is successful we’ll be taking over IKLECTIK ARTLAB near Waterloo on Sunday 26th June for a one-day celebration of all things LUME: original and improvised music from the UK and beyond, friendly vibes and good times. We thought it would be great to make a day of it and put on a selection of amazing new music from around the UK and beyond. We put the call out for artist submissions in January, and had an overwhelming response. 135 artists took the time to fill out the form and send us their music! We had a tough time narrowing it down, but after three days of intensive listening and discussion, we've compiled a day of fresh, cutting-edge new music. - We've also invited Gina Southgate to come and capture the day on canvas, and Alex Fiennes to record the performances! - All the money raised in the Kickstarter will go straight towards artist fees and travel expenses. Our aim is always to pay all artists who play at LUME a decent fee. - With your help, we can put on everyone in the list above and pack the day full of music. - This is just the beginning: hopefully next year the festival can grow, creating more space for original and improvised music to be played and heard. - If you find the prospect of this exciting or even mildly interesting, please visit our Kickstarter page to read more and if you’re able to pledge, your support would be massively appreciated!